Washington DC, March 31: Some members of the Saudi Rapid Intervention suspected of murdering Jamal Khashoggi, had received training in the United States, said a piece in The Washington Post. 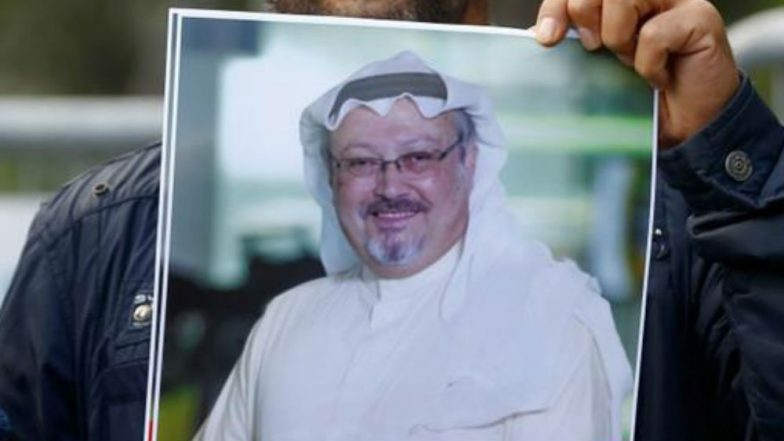 The Saudi journalist was killed at his country's Consulate in Istanbul, Turkey. The new development is likely to impact the Saudi-US relations, said experts. Reports Say Gruesome Audio Recordings Prove Jamal Khashoggi was Tortured, Murdered in Saudi Consulate. Khashoggi, a US resident who wrote for The Washington Post, had been a critic of Crown Prince Mohammed bin Salman, was lured to the Saudi consulate in Istanbul, killed and dismembered, according to Turkish officials. As evidence emerged of direct Saudi involvement in Khashoggi’s murder on October 2, questions were raised on Saudi Crown Prince Mohammed Bin Salman as reports indicated involvement of the "topmost authorities" of Saudi. Jamal Khashoggi was named Time magazine’s 2018 “Person of the Year” Tuesday, an honour he shared with other persecuted journalists dubbed as “guardians” of the truth. His killing was condemned by the international community and Canada in late November announced sanctions against 17 Saudi nationals linked to killing.